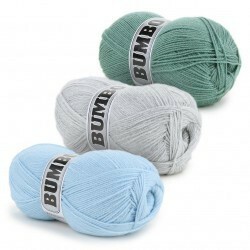 The Danish yarn brand Bumbo was introduced in 1993 and has since had its headquarter in Brønderslev in the northern part of Denmark. Bumbo is known for quality yarn at a reasonable price. 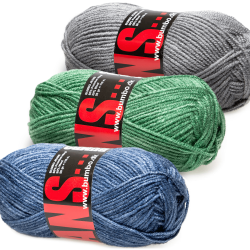 The quality of the yarn varies from acrylic, cotton, and blends to pure virgin wool. Bumbo updates their colors several times a year, and they range from classic colors to fashionable it-colors. 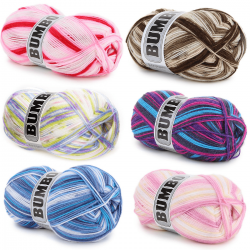 Bumbo also has a wide selection of popular yarns with beautiful color transitions such as Joy, Acrylic Print and Daylight in 100% acrylic as well as Moonlight which besides acrylic also consists of 2% polyamide. 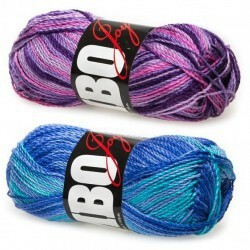 Acrylic yarn is a synthetic product which has many good qualities. First and foremost, the color fastness is high and it is therefore possible to minimize the risk of the color rubbing off. Acrylic is often praised for also being extremely durable even after machine wash.The yarn can be washed again and again without it affecting color, shape or durability. At the same time, it is also an allergy friendly product, and it is therefore great for everything from clothing for babies, kids and adults to blankets and cushions for the couch. 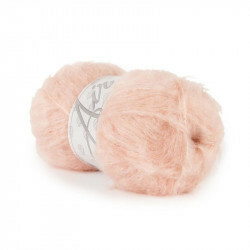 Please also try Magic Felt yarn which consists of 100% pure wool. 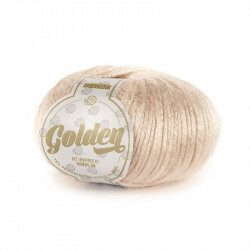 If you are looking for other qualities, you can also find Bumbo Golden which provides your outfit with a touch of extra glamour thanks to a shiny and almost golden look. We wish you good luck with your next projects made with Bumbo yarn. Here at Hobbii, we strive to be some of the best and the fastest at delivering Bumbo yarn and yarn supplies. Thus, you always receive your goods no later than 3 weekdays after you placed your order online. We take great pride in having a high standard customer service and you can always call us, if you have any questions regarding some of our products. We always provide you with a full refund on goods ordered via our online shop. You are always welcome to contact us, if you have any questions regarding our Bumbo yarn, or if you need help with ordering. You can contact us via our contact form, and we will answer you as quickly as possible. We are looking forward to welcoming you as a customer. I love this yarn. It’s going to make beautiful doilies for my living room. It’s the perfect weight and texture. And the color is so brilliant and bright as it is pictured in the blue shade. I’m so happy I purchased more than I need for gifts because it’s soon to be discontinued. 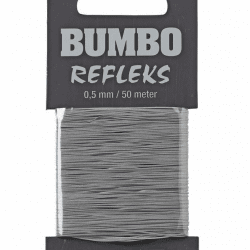 I would definitely recommend this brand for dollies and crochet projects. I worked with it and I’m REALLY pleased! This yarn is a true joy! I crochet for a group that sends items to over 300 NICUs for preemie babies all over the USA, Puerto Rico and Guam. 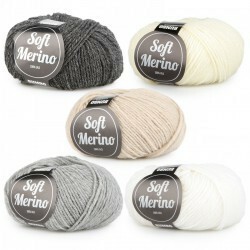 I love the softness of this yarn which can be used for even the tiniest babies with very sensitive skin. I bought this yarn in colours Funky Unicorn Dream, Galaxy and Venus. Amazing! The colours are vibrant and fun. The metallic throughout gives such a funky little vibe. Love them and would not hesitate to order them again! 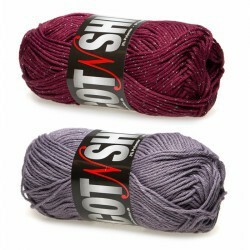 I love, love, Love this yarn! The colors are fantastic. Photos don't do them justice. It is also really soft and warm. I have 2 shawls in progress that I can't wait to get done! 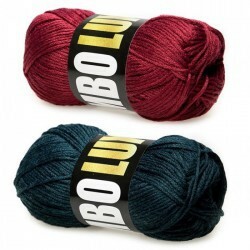 Love It, this yarn is soft, and a good quality. The color was a little darker then in the picture ( I order earth 106), But the color way is still just beautiful. I just love the feel of this yarn! I am ordering more skeins because it is so easy to work with. It seems to glide on the hook. Thanks Hobbii! !